Are you planning to add more creatures in the future? Gooby wrote: Are you planning to add more creatures in the future? Yeah. I don't have anything right now but there's definitely room for more creatures. -Added a new creature, Mantis Pet. It's an admin spawn-able only. It's friendly to humans and will attack all mobs, even stronger ones and other mantises. -Edited Fractal Guardians. The hammer-like variant will cause mostly stun damage, while the one with long spikes causes actual damage and little stun. -Made it so breathing any of the pressurized gases available for diving masks and suits will slow down husk infection, depending on the gas used. -Added 3 more male heads. There's a total of 12 male heads now. -Added a couple more documents. One for Medical Doctors and one as an unique lore document. -Booze can now be used multiple times depending on the type of alcohol. -Gauss Weapons emit a recharge sound when they are ready to fire again. -Fixed Gauss weapons being able to "discharge" with no ammo inside and reduced the recoil when firing them. -Implemented an access clearance system. There are some places only one class can access. -Increased the amount of oxygen released by Life Support so players don't suffocate in their rooms. -Restocked most of the containers around the station. -Added Fire Extinguishers outside rooms that could catch fire. -Replaced the door in the Airlock with an actual airlock door system. -Removed the front wall in the Shuttle Bay so they can exit/enter through it. -Added another wall layer around most of the station so it doesn't flood as fast. -Installed a drainage system and improved the Bilge with more pumps. -Added a classified document in one of the room. The main addition was the introduccion of an admin-only pet creature. It's a medium-sized pinkish mantis that is friendly to humans. It will attack any mob that gets near, including mission creatures. It does blunt damage instead of slash damage and it pushes their target away instead of pulling them closer. They also don't cause as much bleeding and do less damage than a normal mantis but it can stun with each attack. As an interior pet, it's especially useful at getting rid of pests like scorpions and crawlers. -Added a new item, Master ID Card. It's an admin spawnable-only card with all of the IDs used by the mod's submarines. -Fixed the Pet Mantis being unable to eat bodies. Now it will eat but once all nearby enemies have been dealt with. -Fixed a bug with one of the special delivery missions trying to spawn items that no longer exist. 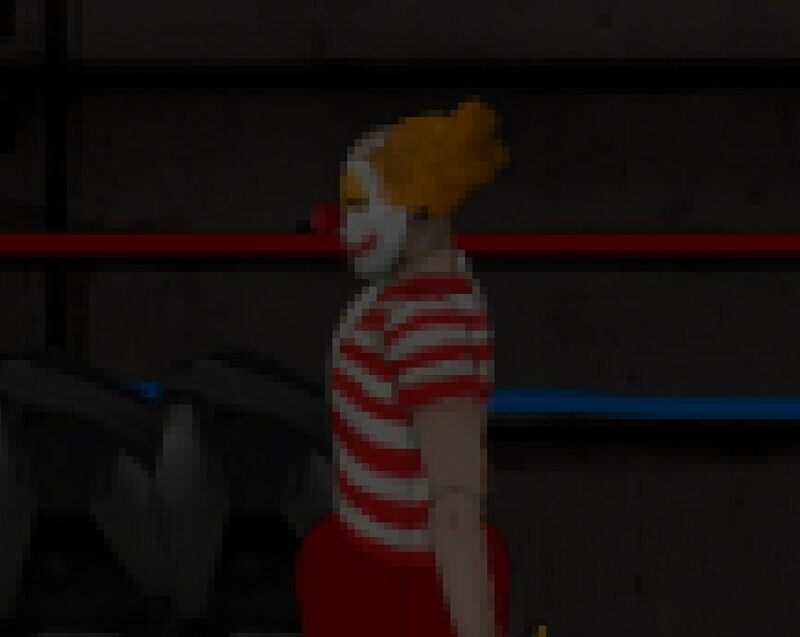 -Added a clown outfit and related items around the station. -Fixed an issue with the power grid causing most of the station junction boxes to explode and burst into flames. Can I pay you in gum? I think I'm gonna temporarily remove the "music alarm buzzers" from the mod. They are kinda buggy and they are prone to cause errors like not actually loading because of the size of the damn things. -Added one more document. All engineers spawn with one in their clipboards. -Added a new door type, Glass Door. It's possible to see through most of it. It comes with its own set of sounds. -Added a new container type, Cargo Container. It can hold up to 60 items, from diving suits to railgun shells and tables. Interacting with it makes a lot of noise. -Added a new electrical component, Buzzer Component. It emits a buzzer sound when toggled and can be used to force doors to stay closed/opened, to set up access alarms, to work with lights, etc. -Edited all alcoholic drinks and ethanol. They cause more falls and stunning damage but don't affect speed as much. Characters can also OD on them and die if not treated. -Morbusine does damage again but the victim will most likely die of oxygen deprivation rather than from health drop. -Edited the attack of the Mantis Pet. Part of its stun damage has been moved to its "push" explosion so it stuns and pushes itself and those next to it for about a second. -Removed the "music" alarm buzzers from the mod. They were buggy and causing errors because of their size. -Enabled detonators to display its contents again. -Fixed weak husks trying to attack doors while having no way to damage them. -Fixed Fulgurium Fuel Rods generating fission way too slow. -Added direction labels to most of the station. -Added Medical Syringes in all Medical Cabinets. -Edited the access for Engineering to also allow Security inside. -Replaced the entrance doors to the Canteen with automatic Glass Doors. -Replaced the entrance door to the Clinic with a Glass Door. -Replaced the 3 ballast tanks with a big storage area. It contains 4 Cargo Containers with tons of goods. Access work with a door buzzer system. -Added a total of 17 ballast tanks around most of the walls of the station. They also help against hull breaches this way. -Added a "Canteen" label on one of the windows of the Canteen. -Replaced the entrance door to the Canteen with a Glass Door. -Removed the "music" alarm buzzers and their switches. -Edited the ballast so its optimal neutral lvl is 0.44, making it safer for the autopilot. -Increased the size of the airlock so it's easier to access. -Made some small aesthetical edits to some of the structures. -Removed the upper ballast, it was causing issues with driving. -Edited the ballast so its optimal neutral lvl is 0.51, making it safer for the autopilot. -Added an armor layer to the top and front of the shuttle to make it a bit less fragile. -Edited the ballast so its optimal neutral lvl is 0.46, making it safer for the autopilot.